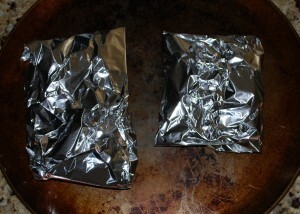 My Mom used to make these frequently for a very easy side dish with no clean-up on her part because they are in foil. This was big for her since we didn’t have a dishwasher growing up. For a meal packet see Individual Hobo Potato and Hamburger Packets. Also you can jazz these up with various seasonings of your choice like garlic powder, Adobo Seasoning, Italian Seasoning, Herbs de Provence or any of your favorite seasoning. Also you can replace the butter with my Chipotle Chili Pepper Butter Compound or Red Wine Shallot Butter Compound. 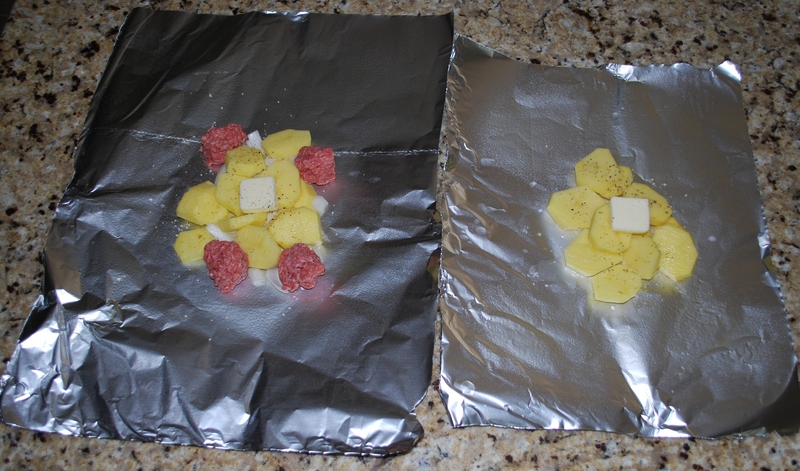 Also add additional vegetables to your liking just make sure they have the same cooking times like red bell peppers. Packet shown serves 1. 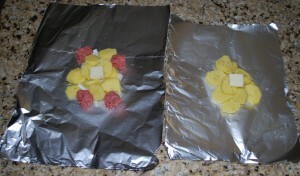 Ingredient amounts will serve 4. 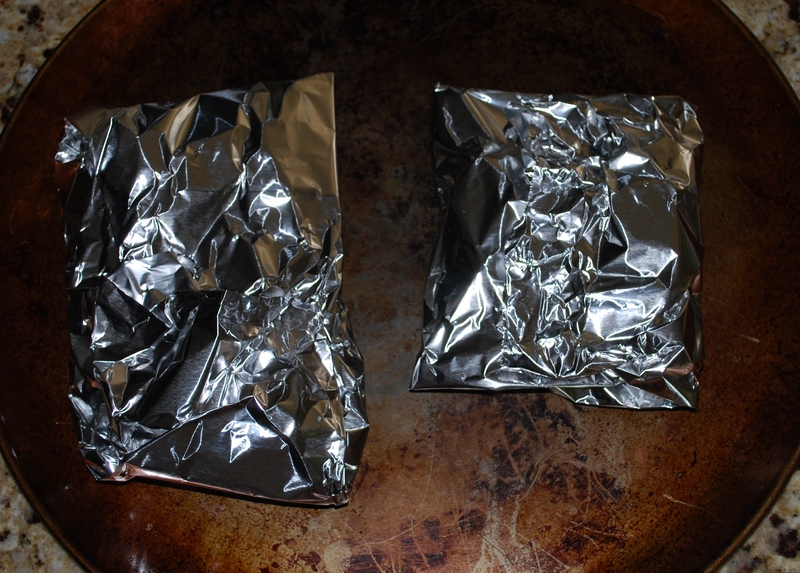 Place about 12 inches of foil on your counter and spray with Pam. 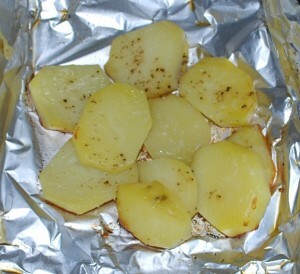 Peel and slice potatoes or leave peel on. Try to slice into uniform slice so they cook evenly. Also don’t cut to thin or they will burn. Add onions if using and butter or add any of the mentioned options above. Sprinkle with a dash of salt and pepper and wrap by folding side ends over and then fold bottom and top ends so they meet in the middle. Repeat with remaining 3 packets. Place on a baking sheet and bake in a preheated oven at 375 degrees for about 30 minutes or until fork tender. Be careful when opening packets because hot steam will be released.